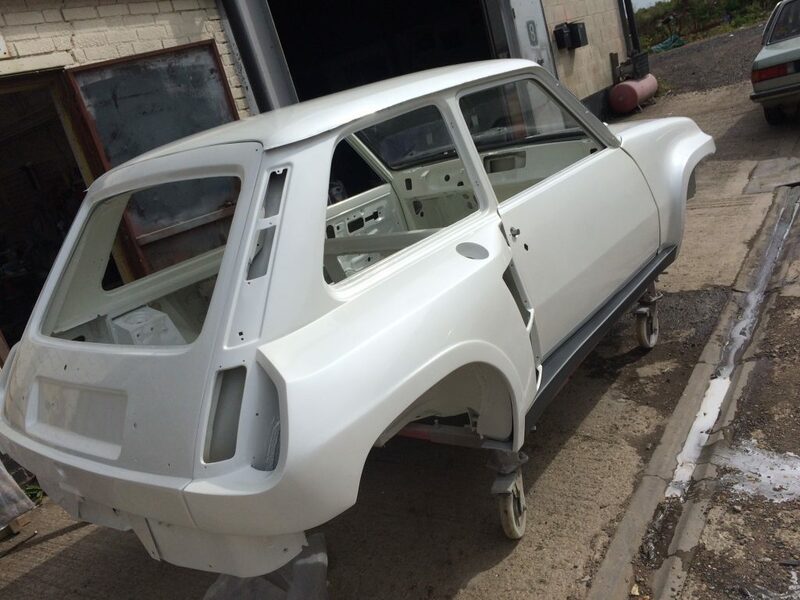 We have done a few Renault Alpines in the past; A110, GTA and a LeMans but this was our first Renault 5 turbo. I don’t mind admitting I was quite excited about this car because I don’t recall ever seeing one in the flesh at least not a genuine one. 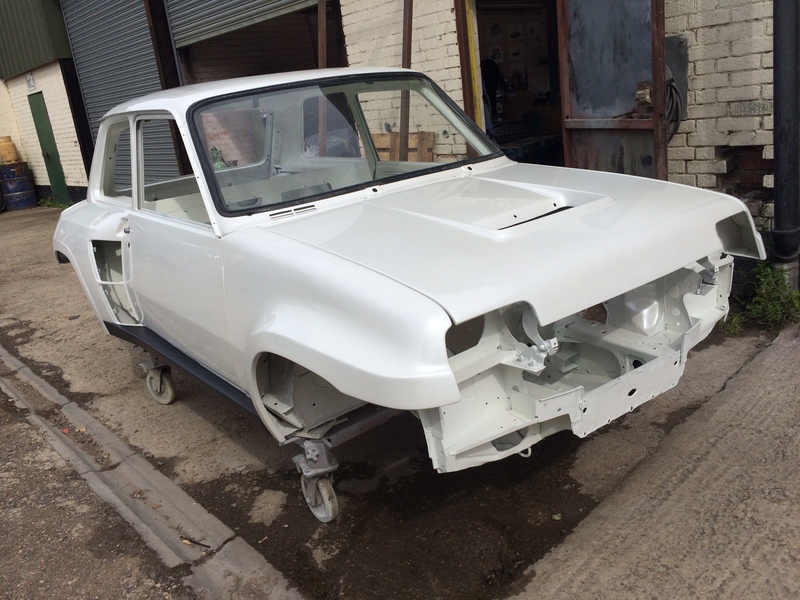 Most of the body structure had already been welded and repaired by the time it arrived with us, there where still a few minor bits that needed rectifying and the GRP external panels all needed fitting repairing and aligning to the car, Oh! and the roof. The roof was a prototype that someone had hand made previously as a test for a limited run of aluminium replacement roofs. As you would have guessed a lot of the R5 turbos where rally cars and got rolled, this one was no exception but it had been well repaired. Somewhat unfortunately being a prototype roof it wasn’t quite the right dimensions to fit the car so we used the English wheel to get the aluminium roof back in to shape and removed a few inches here and there. The screen had to be repeatedly fitted each time we tried the roof as it formed the seat for the glass and had to align. 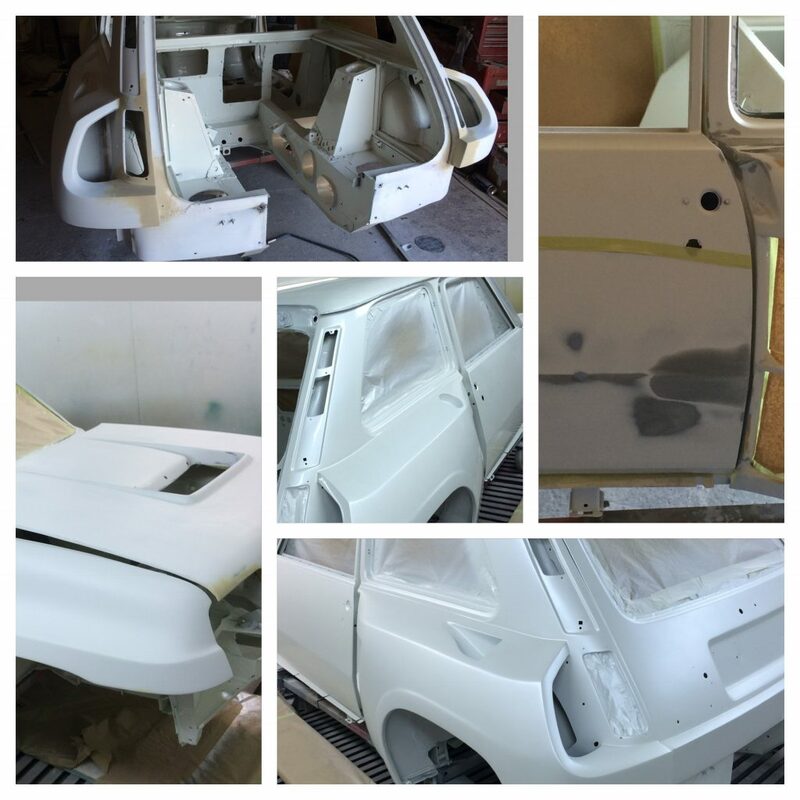 Once the roof was fitting we repaired the original Alpine grp panels and sanded them to the profile of the car. 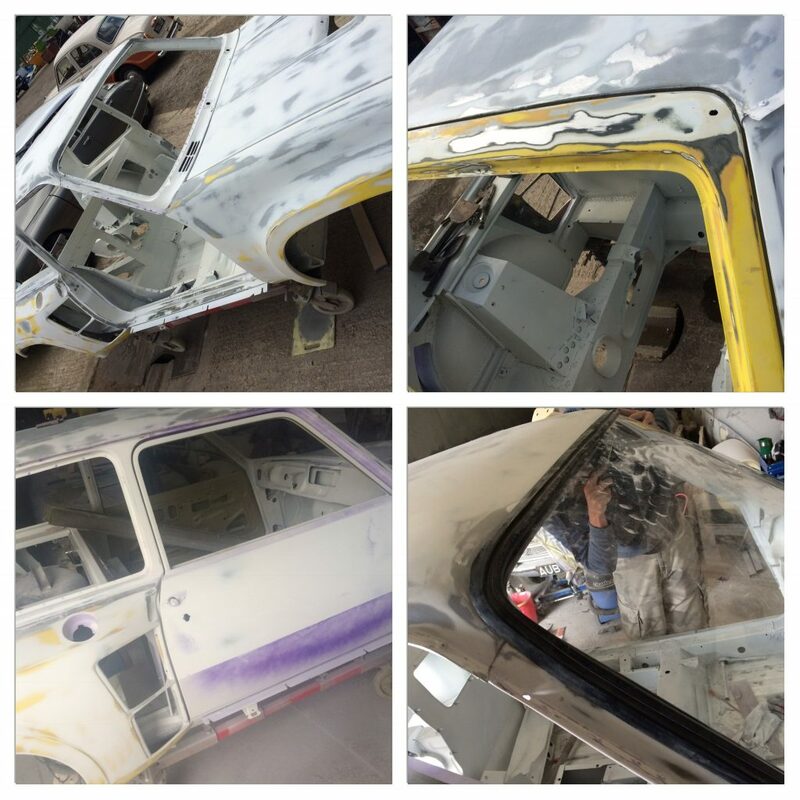 Little tip here: bottom left photo in the montage shows a good way of getting the profile just right – loosely attach the wing slide long sheet abrasive between wing and body (abrasive side against GRP) and sand whilst keeping abrasive tensioned against the body. Next we set about epoxy coating the chassis and upper body adding a little texture to the underside but mostly making sure that every part of the turbo 2 was coated to help prevent future corrosion. With the chassis ready we hung the panels secured the roof and started the flatting process. About three rounds of flatting was required befo4e the line ran straight and the panels where flat. 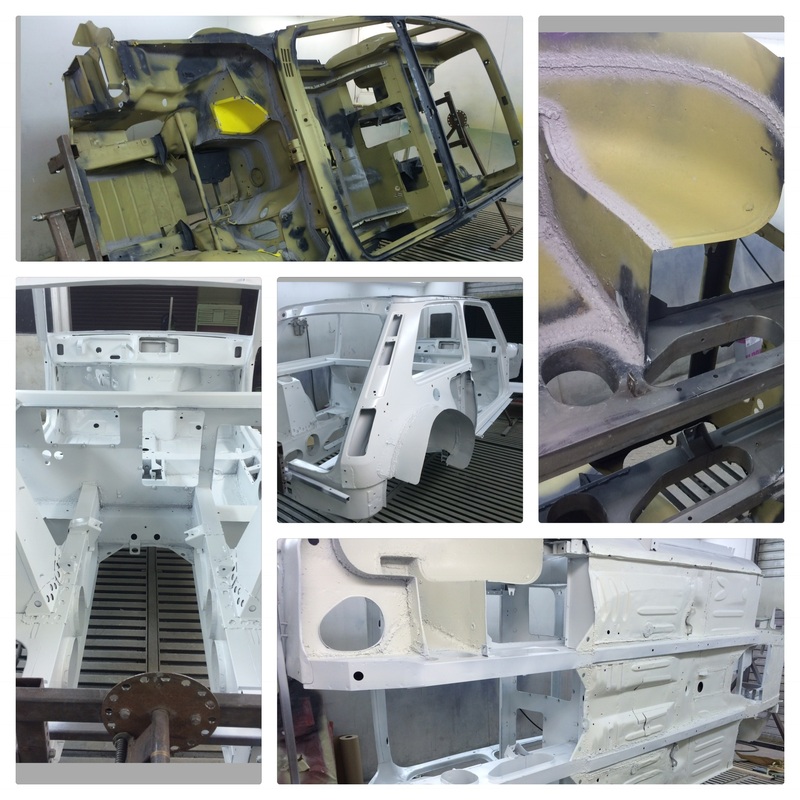 With the body and panels painted it was time to assemble and align everything ready for transportation home. unfortunately we did not have the brackets for fitting the bumpers. 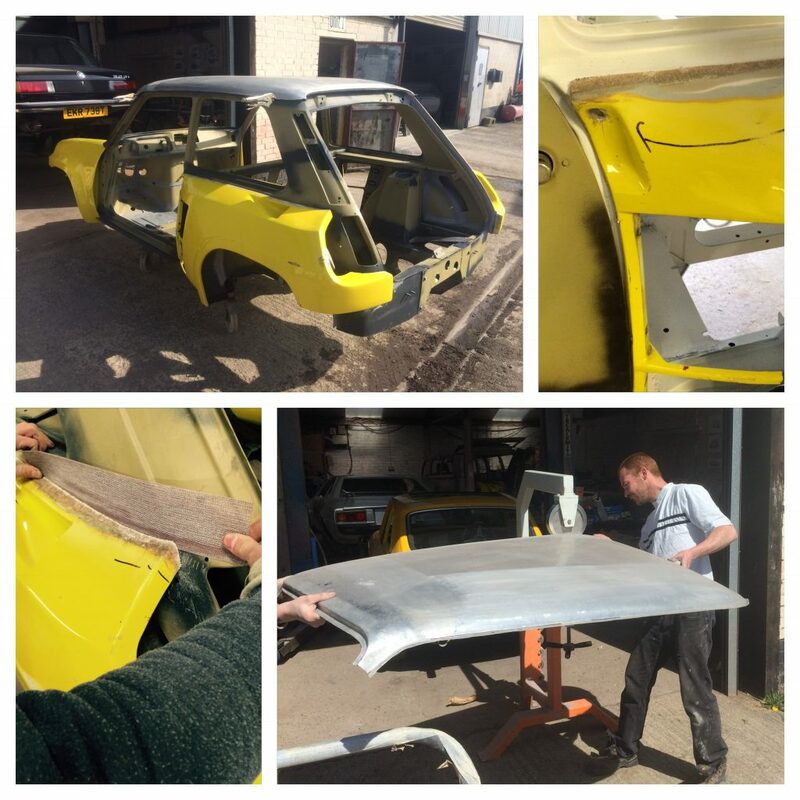 A few month later we had this very cool rouge early Renault 5 turbo1 in for some small repair and a refresh of the coloured rubbers and bumper parts. Grenade (759) red metallic w/ color Grenade (760) red. 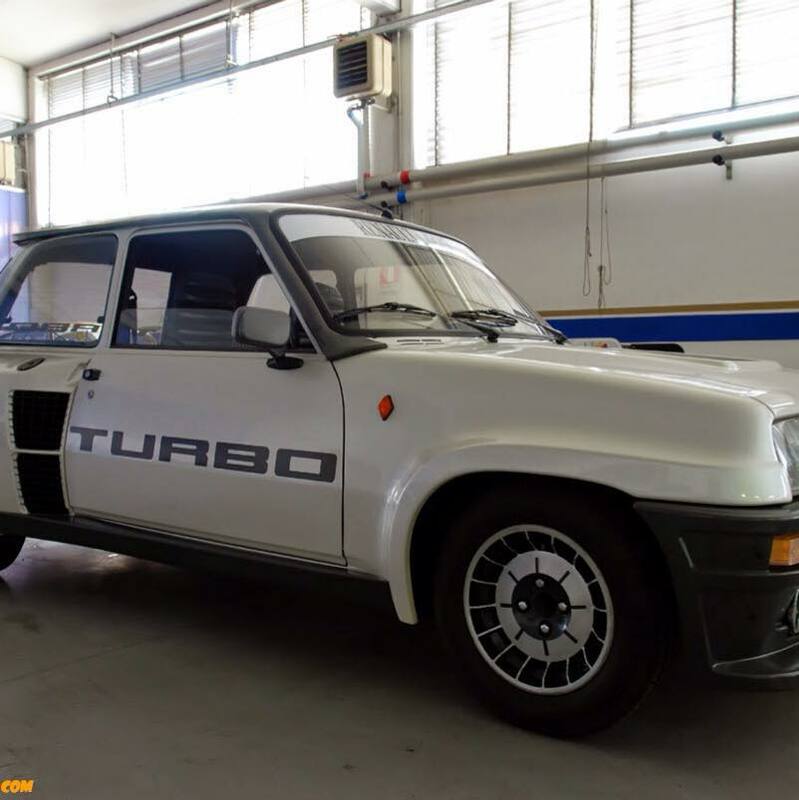 At the bottom of the article I have put a full list of the original Renault 5 Turbo and Renault 5 Turbo2 colour codes as they took some research to find so lets share them.